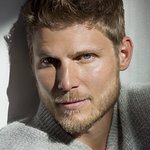 Travis Van Winkle is an actor best known for films such as Transformers and TV shows such as The Last Ship. He is an ambassador for buildOn. Google trends for "Travis Van Winkle"
We don't have any videos related to Travis Van Winkle.